Session IPA with native Hawaiian fruits now available on draught UK wide – with a beach party to celebrate! 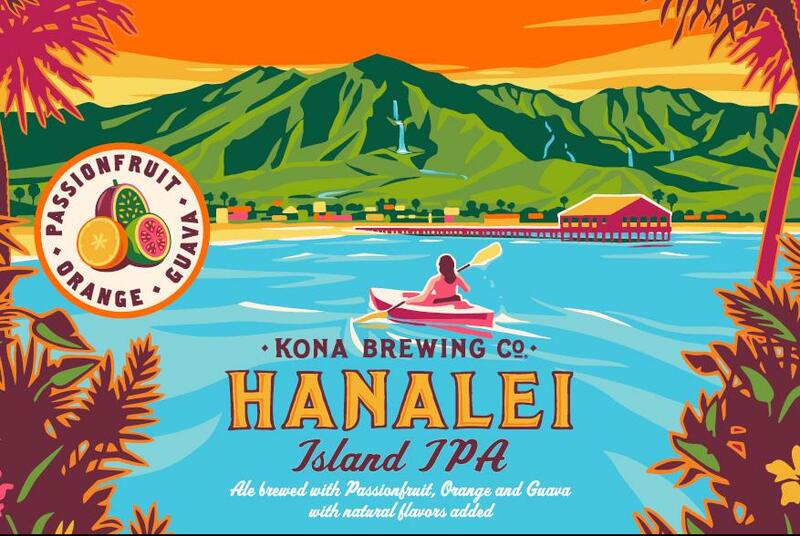 After the successful launch of Kona Hanalei IPA in the UK last summer, Cave Direct are excited to announce the launch of the draught version at the Beer Merchants Tap on 5th May. Brewed with native Hawaiian fruits passionfruit, orange and guava, Hanalei session IPA is the perfect summer beer combining big juicy flavours while still being incredibly drinkable. On draught the fruitiness is extra pronounced, with some very gentle tartness. It is a beer born to be drunk by the pint. To celebrate the launch and the start of summer (fingers crossed) Cave will host a weekend-long Hawaiian party at the Beer Merchants Tap with ukulele tunes, and a special menu from pop-up Salty Loins using the Kona beers. The festivities kick off at midday on Saturday 5th May. Kona Brewery is one of the fastest growing craft beer import brands in the UK, selling over 8,000 HL in the UK last year afrom Cornwall to Glasgow. Founded in 1994 on Hawaii’s Big Island it brews summery beers that take inspiration from its beautiful surroundings.